Middle Creek Roofing is a full service roofing contractor serving Greater Montgomery County, Chester County & Nearby and nearby in Pennsylvania. we have years of experience provide quality roof repair and roof replacement services, and we can help you get the right solutions for your home. 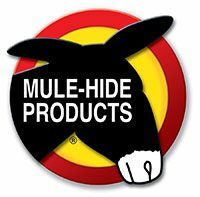 We pride ourselves on customer service, and we always take the time to ensure that you get the best products and installation possible. Our experienced professionals will ensure that your home is beautiful, durable, and has the right roof to last you for years to come. We've Earned Our Title. Let us earn your trust! Ben Lapp is the owner and President of Middle Creek Roofing. A native to Newmanstown, PA Ben started roofing at the young age of 15 while helping a local roofing company during their busy summer hours. In addition to his roofing knowledge and impeccable expertise, his training includes that of Quick Books as well as Microsoft Excel. Ben's day to day activities include meeting with customers and overseeing the installers. He appreciates working with his team, meeting with customers and helping with color selection. In his spare time, Ben enjoys going hunting and spending time with his family. "Your company was a referral to me from a friend in the..."
We are Amish roofers who pride ourselves on the values of honesty, integrity, and hard work - delivered with attention to detail & professionalism. We work with only the best tools and roofing materials available on every roof and proudly stand behind our work with our Lifetime Warranty. We guarantee the highest quality work at affordable prices on every roofing job we complete. Experienced craftsmen, most of whom are Amish, make up the Middle Creek Roofing team. These craftsmen know, understand and trust each other, and together they work hard to accomplish each task, taking pride in a job well done. For the Amish, this dedication and teamwork is a way of life. Lifelong experience in all forms of construction allows them to quickly grasp the functional and aesthetic goals of the project, reproducing building details with accuracy and skill. *GAF is North America's largest roofing supplier. They train, test, and certify roofing contractors so homeowners know where to find a company they can trust. Only 6% of roofing contractors are certified by GAF. 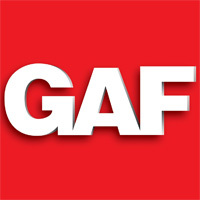 As a GAF certified company, your rock-solid lifetime warranty covers both material and labor. Buy with confidence. Know that your investment is protected.